We're back with another fun project in our electroninks Circuit Scribe series. 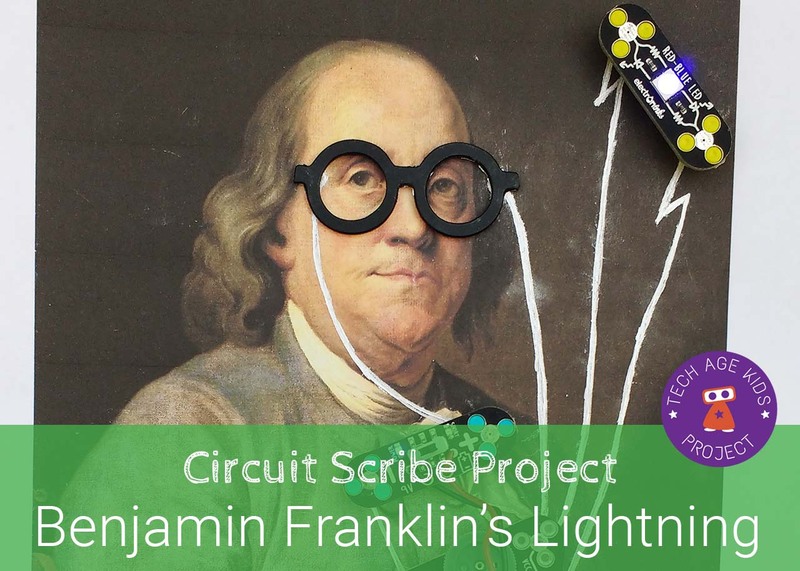 This time the project features Benjamin Franklin and introduces the Circuit Scribe Blinker component. Disclosure: Electroninks sent us a Circuit Scribe kit for review. As always our views and project ideas are our own. See our Circuit Scribe review for more details on the product. 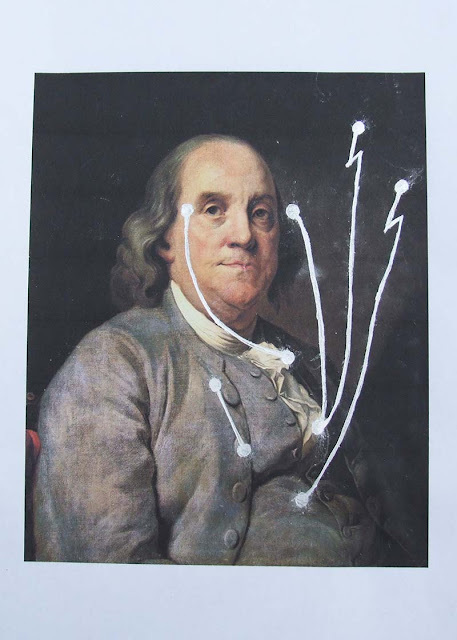 Everyone should know the story of Benjamin Franklin using a kite in a storm to show the relationship between lightning and electricity. Our Franklin project uses the Circuit Scribe Blinker component to make a blue LED flash. We used a picture of Franklin with a dark background as our starting point and turned it into an interactive picture that reminds us about some of his famous work. This project uses a Circuit Scribe electronic ink pen plus Power, LED and Blinker components. One of the cool things about electronic ink is that you can make it a feature of your project. We had fun drawing lightning bolts to connect the Blinker component to the blue LED. This project is a good introduction to the Circuit Scribe Blinker component which is used to make the lightning LED flash on and off at intervals. You can adjust the speed of the flashing using the wheel on the Blinker. We used this to create a lightning effect. The LED component lights up blue one way round and red the other so just flip it round if it flashes red. Franklin also invented bifocal spectacles. 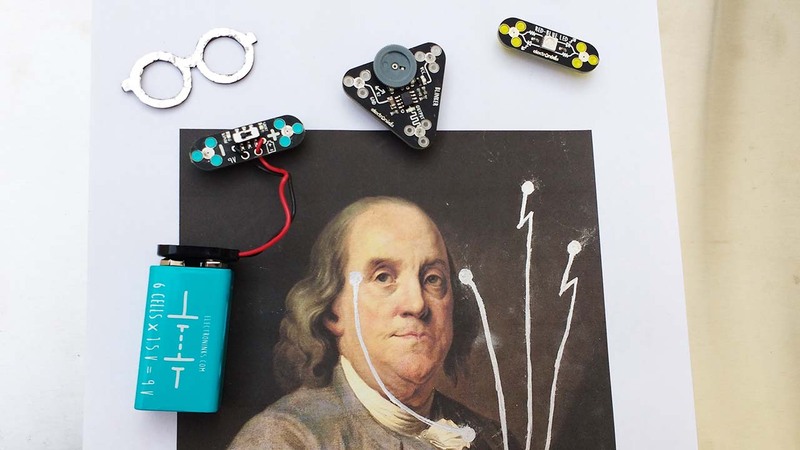 The circuit is activated by adding Franklin's spectacles! 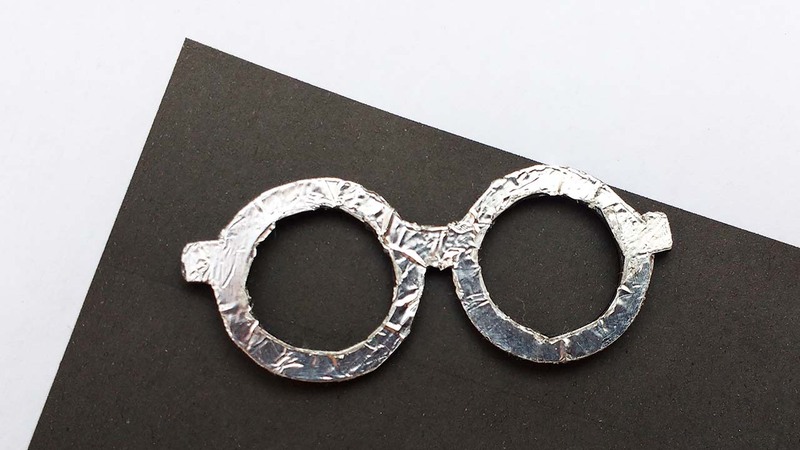 The spectacles are covered with aluminium tape on the back to make them conductive.